Olympus has filed a new patent. It describes the Olympus 400mm f/4.0 lens for mirrorless cameras with micro four thirds image sensors. This is a super-telephoto lens covering a focal length of 800mm and below are the first design of the Olympus 400mm f/4.0 lens. If this patent hits the mass production, it’s obvious that this lens will be a great choice for handheld action shooting – such as in sports or wildlife photography. 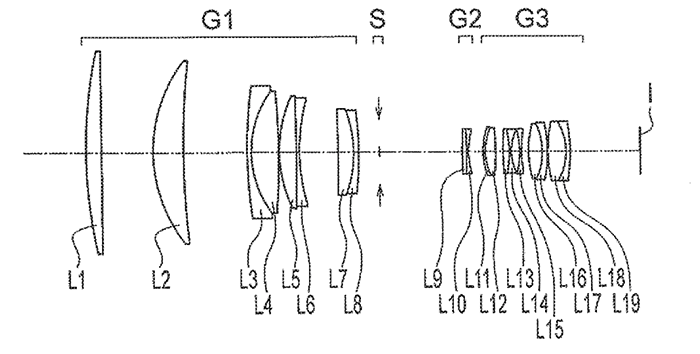 From the patent application we can only see the drawing of the Olympus 400mm f/4.0 lens for m4/3 system. Olympus currently has the Olympus M. Zuiko Digital ED 300mm f/4 IS PRO is the first interchangeable lens for the Micro Four Thirds format to include on-board (as opposed to in-camera) image stabilization. Excellent for wildlife, the focal length of 300mm is equivalent 600mm on a full frame camera, so provides some serious magnification. Here is the newly published patent for the Olympus 400mm F4 MFT lens. After years of planning, development and testing, Olympus is considering cancelling the production of a 400mm f4 lens. This lens was going to be one of the most superlative lenses ever made by Olympus; however, after extensive surveying, it was discovered that it might only meet the needs of a very small minority.